This trend brings the fun and adventure of a summer vacation back to our home. It is reminiscent of glamorous luxury hotels in sun-drenched locations like the beaches of Rio, Miami and Palm Springs. Tropical colours such as dark, juicy jade green and mustard yellow are combined with shades of pink, ranging from pale pink to rosewood, with accents in Yves Klein Blue. Black is used in small details. The unexpected colour combinations can be found in botanical print patterns, which look as picturesque as the sketchbook of an expressive artist. 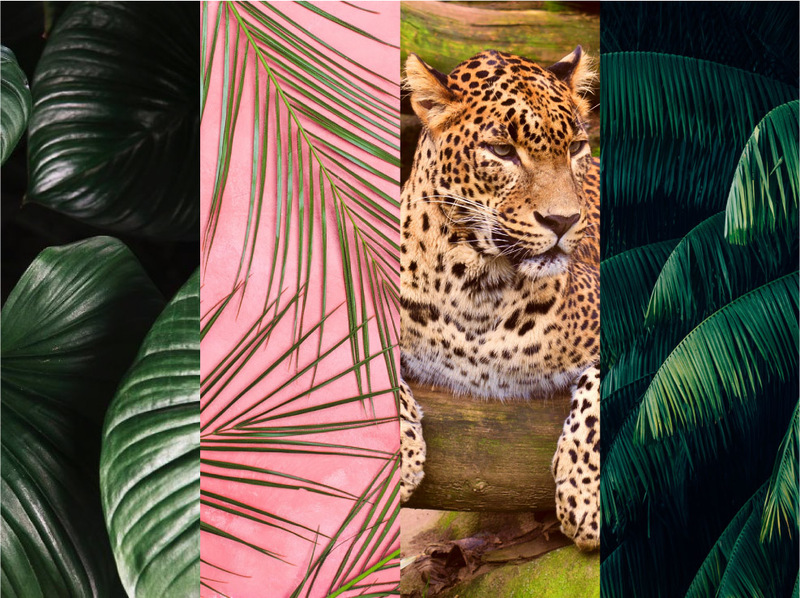 Leopards, monkeys and exotic birds like flamingos and toucans peek out from behind palm trees and ferns. The style of different decades is masterfully mixed: 50s shapes meet 80s geometry, as well as the elegance of the 70s.